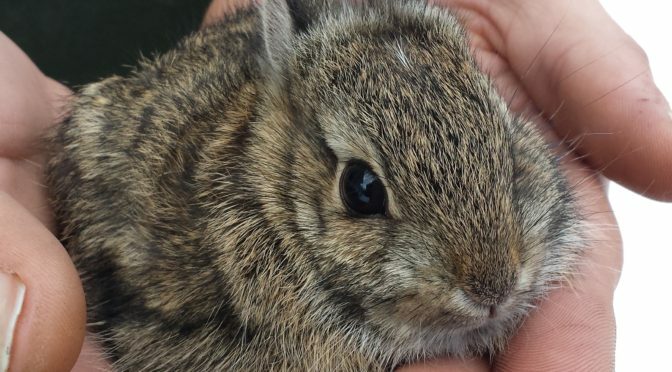 Cottontail bunnies are the most frequent animal patients in many wildlife rehabilitation centers. The developmental time from birth to weaning for bunnies is very short, and cottontails require fewer resources in time, space, and equipment than other baby mammal species. The high mortality rate, however, creates stress and frustration for the rehabilitator causing many rehabilitation centers to refuse bunnies or limit their intake. Over two decades, Red Creek has developed protocols designed not only to duplicate what the bunny receives from the mother and the environment but also eliminating factors they would not normally be exposed to in nature. 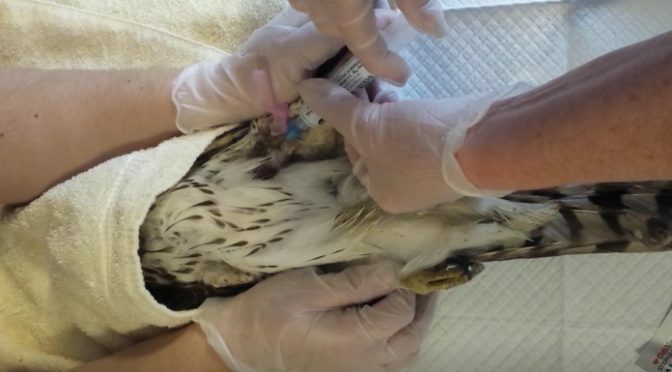 In this course, the student will learn not only our protocols, but understand the reasons behind the methods so adjustments can be made in individual cases. A written exam will be given at the end of class. A passing score is 80% . Students successfully passing the final exam receive a certificate for 12 hours of wildlife rehabilitation education. 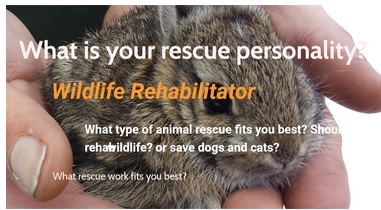 What is your rescue personality?